RURALCO has today confirmed it has entered into an agreement with Nutrien Ltd, under which the Canadian agri-giant has agreed to acquire 100pc of Ruralco shares for a cash price of $4.40 per share. The agreement outlined in the Scheme Implementation Deed will now be subject to a vote by Ruralco shareholders at a soon-to-be determined date. In a statement to issued to the ASX this afternoon the directors of Ruralco have unanimously recommended Ruralco shareholders vote in favour of the Scheme Implementation Deed, in the absence of a superior proposal and subject to an Independent Expert’s Report concluding that the Scheme is in the best interests of Ruralco shareholders. Ruralco said the price represents a 44 percent premium to its one month weight average share price. The offered price is about 30pc higher than the $3.06 level at which Ruralco shares stood when when the company entered a trading halt pending an announcement of a material transaction yesterday. Today’s announcement said the Ruralco Board expects to declare and pay a fully franked special dividend of up to 90 cents per share in cash on or shortly before the implementation of the Scheme. It said the directors of Ruralco also intend to declare and pay a fully franked FY2019 interim dividend of up to 10 cents per share. 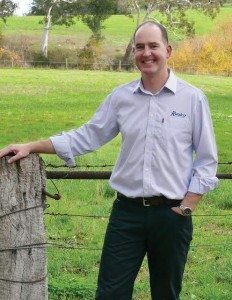 “The Directors of Ruralco believe the Scheme Consideration, inclusive of the Special Dividend, represents compelling value for Ruralco shareholders and would create a robust rural services provider, with significant benefits for farmers, businesses and communities across regional and rural Australia,” the statement said. The Scheme is subject to certain conditions, including approval from the Australian Competition and Consumer Commission (ACCC) and the Foreign Investment Review Board (FIRB). The Scheme Consideration values Ruralco’s fully diluted equity at approximately $469 million, and at an enterprise value of $615 million. The statement said each Director of Ruralco intends to vote in favour of the Scheme in respect of all the Ruralco shares controlled or held by, or on behalf of, that Director. “During our negotiations with Nutrien, we have been encouraged by their understanding of our businesses and of their importance to regional and rural communities. A copy of the Scheme Implementation Deed signed by the parties, which includes full details of the conditions to the Scheme, can be viewed here. Ruralco said a Scheme Booklet containing information relating to the proposed acquisition, reasons for the Directors’ recommendation, an Independent Expert’s Report and details of the Scheme meeting will be prepared and provided to shareholders in due course. Shareholders will then have the opportunity to vote on the Scheme at a Court-convened shareholder meeting. Subject to shareholder approval being obtained and the other conditions of the Scheme being satisfied, the Scheme is expected to be implemented in the second half of 2019. Ruralco said it expects to update the market on an indicative timetable in the coming months. NUTRIEN has confirmed that its Australian subsiary Landmark is engaged in discussions with Ruralco regarding a potential transaction. In a statement to the Toronto Stock Exchange Nutrien said “no decision has been made as to whether to proceed with the transaction, no agreement has been reached, and there can be no assurance that any transaction will result from these discussions”. “Any potential transaction would be subject to the parties negotiating and entering into a definitive agreement and satisfying its conditions,” the statement said. 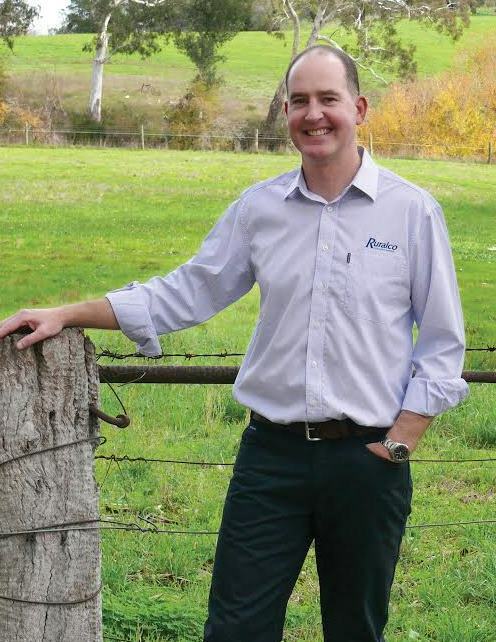 Ruralco Holdings Limited has announced a trading halt today amid reports it is the subject of a takeover bid from publicly listed Canadian fertiliser and agribusiness giant Nutrien, which owns Ruralco rival Landmark in Australia. Ruralco Holdings Limited requested a two-day trading halt this morning pending an announcement by the Company in relation to a material transaction. An ensuing online report in The Australian newspaper reported that $36 billion agri-behemoth Nutrien, which is listed on the Toronto Stock Exchange and New York Stock Exchange, is expected to announce a takeover bid for ASX-listed Ruralco in a deal believed to be worth about $450 million. The Australian report said it was understood the offer was at a premium of at least 30 per cent to Ruralco’s share price, which stood at $3.06 at the time of the halt at 8:57am AEST. The Australian report said the timing of the bid was superb because weak cattle prices had reduced the value of Ruralco. Nutrien was created when Potash Corporation and Agrium merged in 2017. If it proceeds – beyond an agreement between both boards the deal would still require shareholder support and Foreign Investment Review Board and Australian Competition and Consumer Commission approval – the deal would combine two of the big three rural service providers in Australia. Ruralco has a network of 50 specialist majority-owned rural supply, finance, insurance, grain and water service businesses in all states and the Northern Territory, with brands including CRT, Rodwells, Roberts Ltd, Primaries, BGA Agriservices, Grant Daniel & Long, Territory Rural and live exporter Frontier International. It currently has a market capitalisation of around $320 million and a workforce of over 2000 people. Nutrien is based in Saskatoon, Saskatchewan and produces and distributes over 26 million tonnes of potash, nitrogen and phosphate products for agricultural, industrial and feed customers world-wide. It is reported to be the world’s No. 1 producer of potash and No. 2 producer of nitrogen fertiliser with operations in 18 countries and more than 20,000 employees worldwide. Through the merger of Potash Corporation and Agrium finalised in January 2018 it also has an extensive global direct-to-farmer retail network including Landmark which has over 200 branches across Australia.